POS Retail & Hospitality EPoS System- Back Office and Till Software with integrated E-commerce tailored to the needs of retailers across the UK. 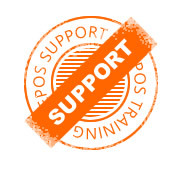 POS LTD, established in 1986, are providers of reliable and cost effective Multi-Channel EPoS systems. We have a proven track record of installing systems throughout the UK and Ireland which have given retailers and hospitality clients the necessary tools to trade successfully both in store and online. We are pos software and hardware solution specialists providing EPoS Systems, Integrated Ecommerce, Order Processing and Stock Control Solutions to businesses of all sizes including independent, corporate and multi branch. Our XSELL PoS system integrates with both SAP and Sage accounts, and also delivers Gift Card & Customer Loyalty capabilities. Our experience has allowed us to develop robust systems that work for you and your business now, while our pride in keeping in-tune with market requirements will provide you with the latest functionality, giving you full visibility of your business and helping you move forward with confidence. 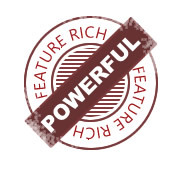 More than just till software, get in touch now for a new powerful POS system! Our XSELL EPoS solution has been developed to satisfy the ever more demanding role of retail EPoS software. In today's retail environment it is essential to utilise all of the technology available to improve your response to customer needs while giving maximum power to your sales personnel. The point of sale is no longer a simple cash register, now a POS system is a fully interactive POS terminal capable of everything from Stock Enquiries and Promotions to Customer Loyalty, Gift Card Processing and Chip & Pin. POS have been a leader in the EPoS software industry since 1986. 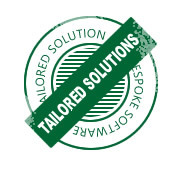 Over those 30+ years we have built up a wealth of experience and expertise in most retail sectors. 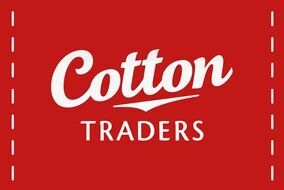 The wide appeal of our solutions is reflected in the variety of our clients which include leading sportswear retailer Cotton Traders and the UK's largest independent wholesaler EFG Housewares. We have also developed close business relationships with hardware and service providers such as HP, SAP, IBM and Ingenico. If, during the consultation process it has been identified that bespoke software is required to meet your exact business needs, a specification will be agreed with you. Our team of experienced developers will then code the changes to your exact requirements. This "bespoking" can range from a simple data conversion from an existing POS system, to a complex system integration. Once you have decided on the software solution that you require we will build, install and configure it for you on your chosen hardware to ensure you gain the most from the solution. We will arrange training for you and your staff. When you are up and running, your chosen support package will ensure that we are always there to help with any issues you may have. Choosing the right hardware and software for your new retail business is very important. When your doors open for the first time you need to be confident that you have the proper IT systems for the job together with the knowledge to get the most out of them. 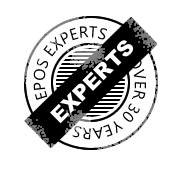 Over the years POS Ltd have proven to be an agile and adaptable partner, our business needs have certainly expanded and so has the EPoS software POS Ltd provide. A very successful haberdashery business with multiple branches and head office together with a very established web presence. We have worked with C&H for many years and continue to support them with their POS software requirements. Recent additions include tablet barcode software and expanded customer display visuals. A multi-branch restaurant and deli business specialising in Spanish food and drink. Requirements included being able to automatically route orders to separate bar and food kitchen printers, and the deli EPoS being integrated with Avery scales. Branches also required linking to a central warehouse to ensure stock is always topped up. An Equestrian and Country store based in Yorkshire with a further branch in Melton Mowbray. With over 20 years experience, they are dedicated to providing customers with an excellent service. PoS System requirements included integration to an established website, multi-branch reporting and features specific to the equestrian retailer.